Another year, another fall cork. It was great to supplement our fall training program with some racing. This year we got 2 days of light winds. On saturday the breeze was cold and came from the north bringing lots of puffs and shifts. It often would die off during races and required extra focus to stay racing the whole time. Sunday brought a light sea breeze after we waited a couple of hours for wind. I sailed consistently and finished up in 3rd place. I’m unhappy I was unable to defend my title but I was still within a shot of winning going into the last race so I was pleased with that. Third place this year at Fall CORK. Congratulations to my fellow competitors Matti Muru (center) - 1st place, Justin Norton (right) - 2nd place. 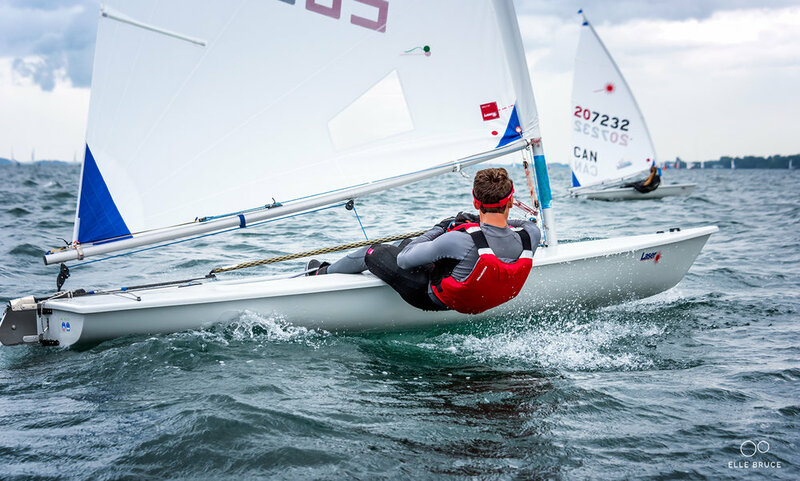 I competed in my first Sail Canada Senior Championships from August 18 - 21 in the laser class. From a performance perspective I was unhappy with how I finished - 12th place overall. I opened the regatta with a 10, 4, 13, 1 on the first day leaving me in 4th place so my drop from there was tough. On the other hand I had a great regatta from a focus standpoint. I felt that I was on my game for the whole regatta even though the results don’t reflect that. I’m looking forward to getting back to school this fall and putting in a strong training block before the winter regatta season. The next key event for me will be Lauderdale Yacht Club OCR in January 2019 which is the selection event for Canada’s spot at the Pan Am Games. Leeward mark rounding with Matti Muru (208550) and Noah Collinson (206719) right with me. 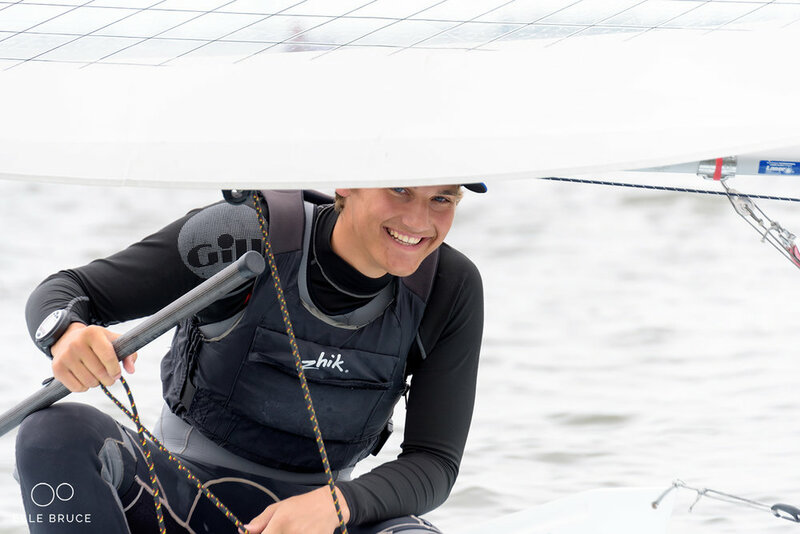 This year due to my trip to the Laser Radial Youth Worlds Regatta in Medemblik I missed all of the summer CORK events so I only got to compete at one of my favourite venues once this season. On the weekend of September 23-24 I sailed the annual Fall CORK regatta. I raced in the Laser Full Rig class against a very competitive group of guys from Ontario. We raced 3 races per day in light conditions outside of one race in 12 knots. I sailed an extremely consistent event with finishes of 2, 5, 2, 2, 2, and 6. After the drop I finished with 13 points and won the event. Kingston is the best freshwater sailing venue in the world and I am so happy to call it home now. Additionally I attended the Ontario Sailing Combine in the two days leading up to Fall CORK. I sailed well and have now transitioned to the full rig for good. 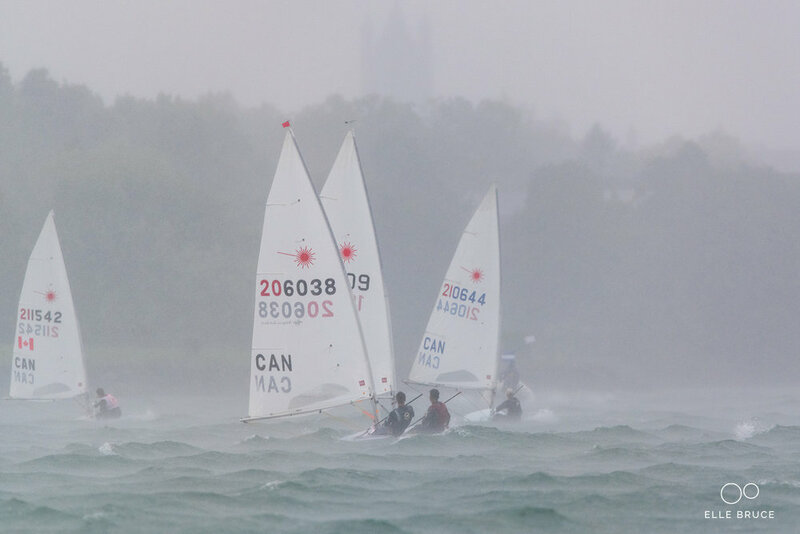 I am pleased to announce that I have accepted the invitation to join and am now a member of the Ontario Sailing Laser team. I am excited about this opportunity and look forward to the upcoming year of training and racing with a great group of teammates and my new coach Chris Cowan. Some may not realize that Kingston Ontario is often referred to as the “freshwater sailing capital of the world.” This obviously was a key pro for Queen’s when I was evaluating where I would pursue my post secondary education. 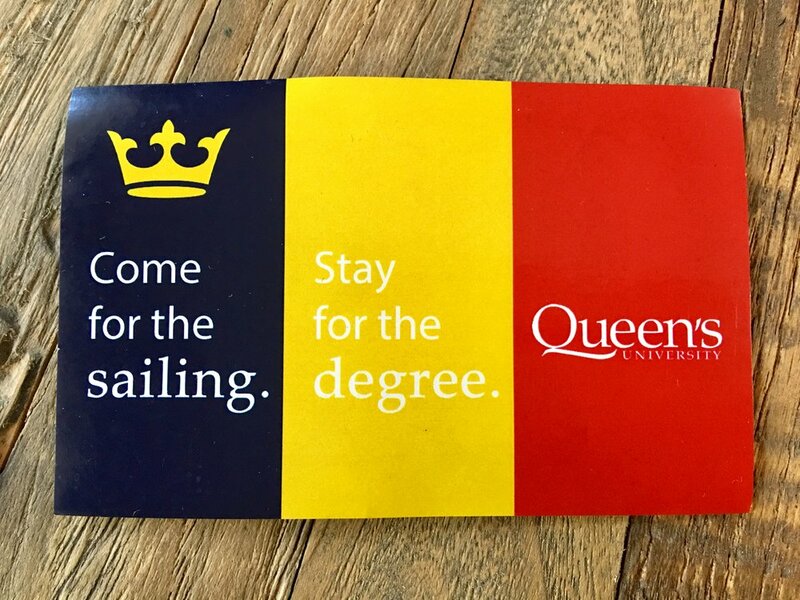 Queen's University Sailing Team promo stickers handed out at CORK. Brilliant! 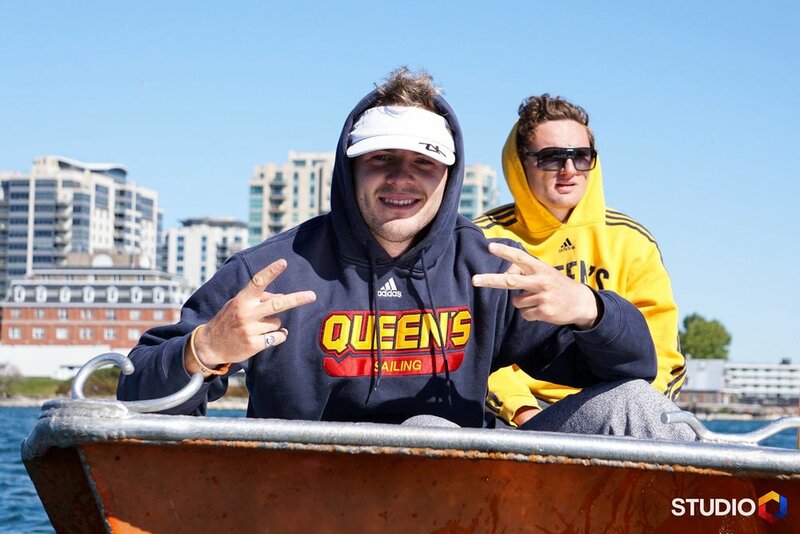 I have joined the Queen’s sailing team. I am one of 20 or so rookies on a team of 50. We compete mostly whitesail 420s and keelboats. We have a plethora of training opportunities and I attend 3 times a week at Kingston Yacht Club in 420s. 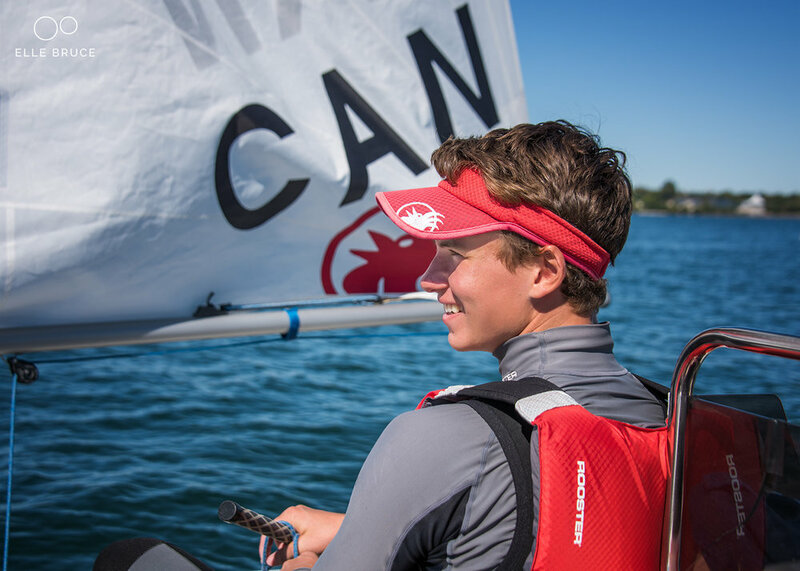 A number of people I have grown up sailing against are also on the team, including past and present Ontario Sailing Team members such as Alek, Clara, James, and Matti. My first regatta came a few weekends ago at the Can/Am Cup hosted by Queens. I was a part of the Gaels 2 team comprised of rookies. I skippered the A-fleet boat with Georgia Stein as crew. We sailed extremely well together, winning 3/6 races on the first day. An OCS on the second day with the different rule set meaning no drops pushed us down to 3rd place in A-fleet and overall when combined with our 4th placed b-fleet teammates. Overall Queen's finished in 1st and 3rd. Sailing the double handed 420 with fellow rookie Georgia. I’m really excited to be a part of this group and look forward to future events with the team. Hopefully next year we can increase our presence in the US collegiate sailing scene. On the weekend following the Ontario Sailing Combine I participated in the annual Fall CORK event at Portsmouth Olympic Harbour in Kingston. 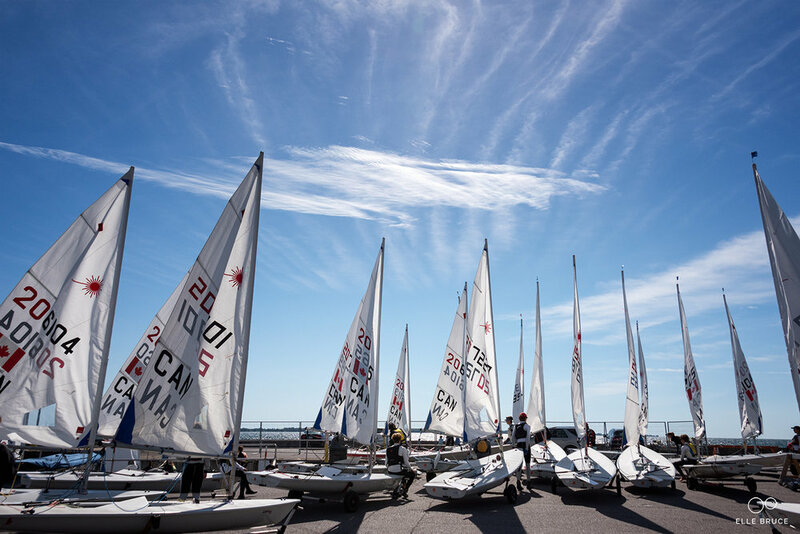 This year there were 57 boats competing in the Laser Radial fleet. Though sunny, the weather this year was unfavourable for sailing with extremely light and shifty winds. The race committee managed to get 3 races off in the difficult conditions. Unfortunately racing was called off on the first day just as the wind reached steady conditions after a general recall. Light and shifty wind conditions at Fall CORK regatta frustrated the race committee and sailors alike. As seen here when the wind completely died in the middle of a starting sequence. I fell victim to inconsistency and poor results leading to a finish of 4th place. I would like to thank the race committee and everyone involved with the event for doing their best given the frustrating conditions and I hope for better racing next year. 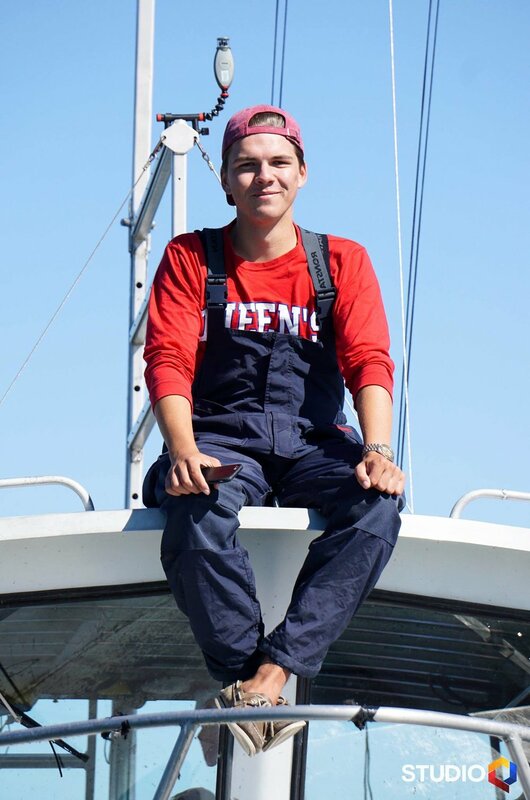 In September I participated in the Ontario Sailing Combine. This 2-day event is held each year prior to Fall CORK in Kingston, Ontario. 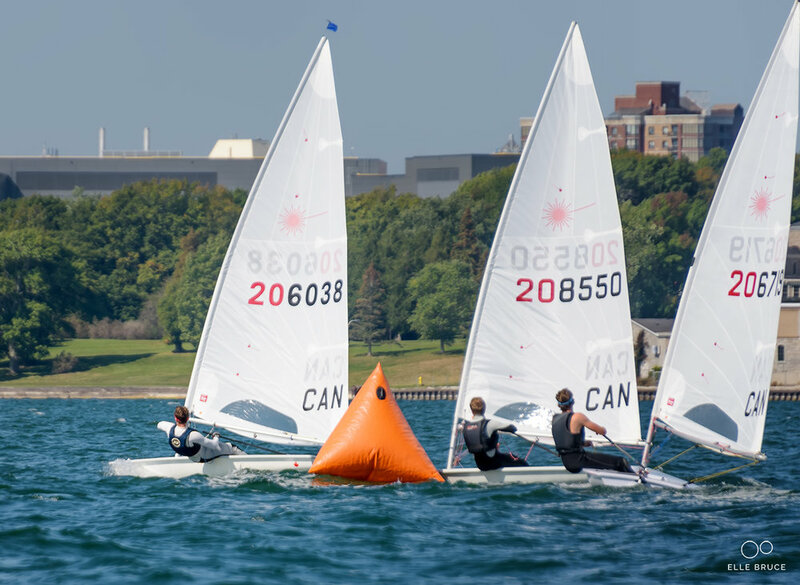 Across the two days coaches are evaluating you on your fitness, sailing ability, and character for possible selection to one of the Ontario teams. On the morning of the first day there is a fitness circuit that all athletes do. It consists of push ups, pull ups, flexibility, plank, and measurements. The measurements taken include height, weight, and BMI. After this all athletes participate in the beep test. I am proud to say almost all of my fitness scores improved over last year. The rest of the evaluation comes on the water. There are two on-water sessions, one in the afternoon on the Thursday and one on Friday. This is a good pre regatta tune-up and an opportunity to display your skills. Additionally we were treated to a great talk from Ken Dool; Canadian Sailing Team Head Coach and High Performance Director on what being an athlete is about. Having only just returned from coaching our Canadian Olympic Sailing Team in Rio, his perspective was invaluable and thoughts were inspiring. I enjoyed this year's combine and was able to retain my place on OST Elite Radial Team. I would like to thank Ontario Sailing and all of the coaches for running a great event. My summer culminated with the CORK International - Sail Canada Youth Championship Regatta at the end of August in Kingston Ontario. This regatta held significant importance for me as it was the qualifier for the ISAF / Youth World Sailing 2016 Championships to be held in New Zealand this December. The winner would be offered the spot to represent Canada. 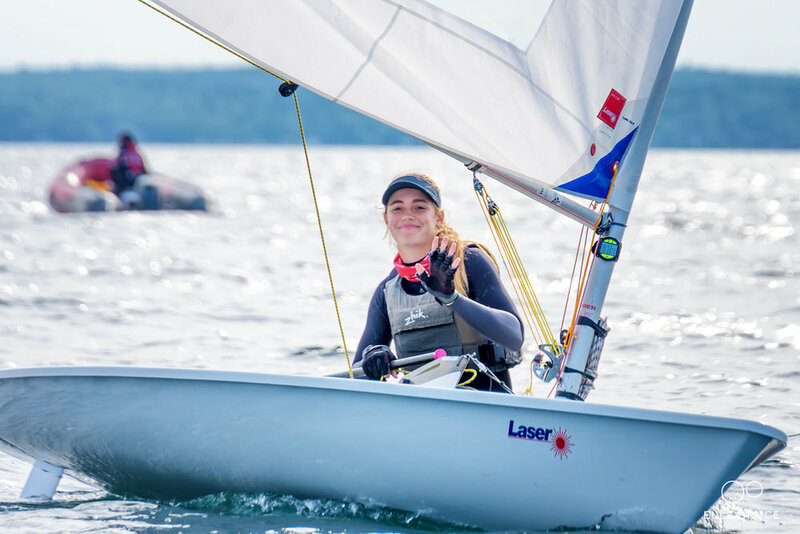 My main goal while I sail the laser radial (before I move on to the Olympic Class Laser Standard boat) is to attend an ISAF/World Sailing Youth Championship before I age out. Which means I only have two left. Qualifying this time out was a small stretch but entirely doable and I trained hard all summer with this goal in mind. Sadly I fell just slightly short. After 12 races in total in a fleet of 148 I finished up 4th overall and 3rd Canadian. A huge improvement on my previous years finishes but two places out of the opportunity to represent Canada at the Worlds this year . The conditions in Kingston for this regatta were unusual. I had spent almost 6 weeks in Kingston training 5 days per week with the Ontario Sailing Elite team but none of that would prepare me for what nature served up. Usually during the summer Kingston will get a thermal almost every day. This wind will be around 12-15 knots and from the south-west or just to the right of the island. There was not a single one of these types of days during the regatta. This year the wind was light to medium for every race except one. That one race was the final race of qualifiers and a squall came through with fog, rain, and 25 knot winds. Race 6 - rounding the leeward mark just after the squall had passed. My best race of the regatta came on the first race on the second day of qualifiers. In that race I was one of the only people to notice a massive wind shift favouring the pin end of the start line at about 1 minute left to go. I sailed to that end of the line, had a clean start and crossed in front of the fleet by a significant amount. I led the entire race and won by over a minute. It was an exhilarating feeling. I am really proud of this result and would like to believe this is a sign of things to come. Unfortunately this regatta also had it’s share of disappointing races. Some poor starts, bad luck, and sometimes poor decisions led to results that weren't my best. Over the entire regatta I was fairly consistent with race finishes of 5, 5, 4, 1, 8, 2, 11, 4, OCS, 11, 3, 10. 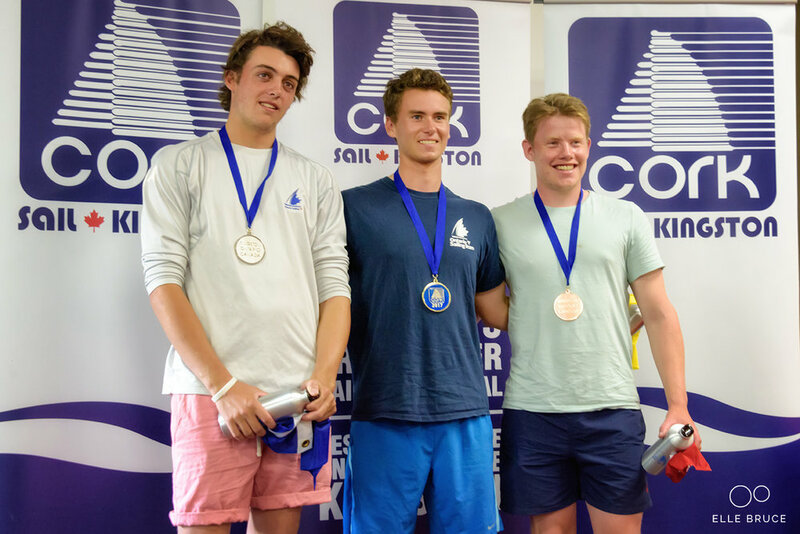 The regatta came down to the wire with fellow Ontario Sailing team mate Matti Muru, Quebec sailor Justin Vittecoq and I all tied in points for first place. Had the regatta finished after 11 races I would have won. At one point it seemed unlikely that the race committee would manage to get a 12th race started before the time limit for the final day ran out, but with less than 5 minutes left on the clock they started us. Unfortunately in that final race I was unable to keep ahead of Justin and Matti and in the end I finished 3rd Canadian and 4th overall. Although this was disappointing I’m really proud of my effort and how I put myself in the position to win. Many thanks to all who worked so hard organize and run this event. Special thanks to my coach Chris Hewson, to Sarah Douglas and to the rest of my team for being the best of training partners. Finally congratulations to Justin, Matti, Campbell Patton (Bermuda) and Alex - my fellow competitors on the podium this year. Good competition makes great sailing - my thanks.